The Army Black Knight's defeated the Northwestern Wildcats 21-14 in Michie Stadiuim at the United States Military Academy in West Point, NY on Saturday, September 17, 2011. 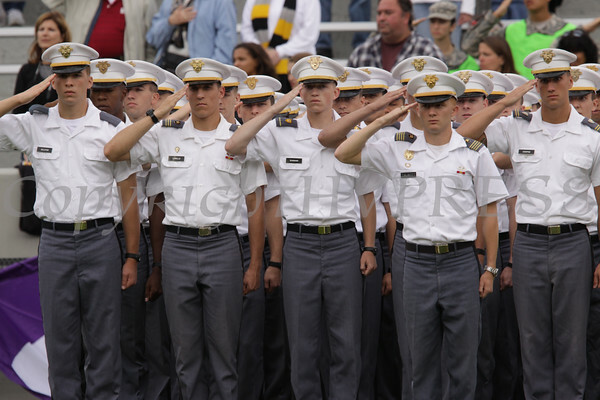 Army cadets salute the United States flag in Michie Stadium at the United States Military Academy in West Point, NY on Saturday, September 17, 2011 prior to their game against Northwestern. Army defeated Northwestern 21-14. Hudson Valley Press/CHUCK STEWART, JR.